Jack A. Schorman, 77, of Warren, PA. died Thursday morning, November 3, 2011 at the Warren General Hospital. He was born May 2, 1934 in Bradford, PA. to the late Robert C. and Mildred Crooks Schorman. He was a resident of Warren most of his life and had resided in Erie, PA. for 3 years. Jack was a 1952 graduate of Warren High School. He had served in the U.S. Army during World War II at Ft. Knox as a private. He was employed with the former Warren National Bank. 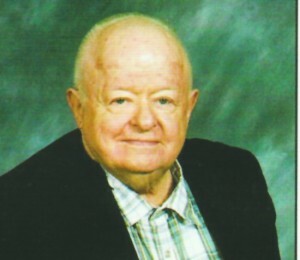 He was a member of Grace United Methodist Church, was an avid fisherman and enjoyed movies. He was a member and active participant of the International Theater Organ Society. He enjoyed traveling, visiting Chautauqua Institute and Chautauqua Lake. He loved his family and church, being with people and entertaining. He is survived by 1 Nephew – Robert R. Schorman and wife, Judi of Oxford, Ohio, 2 Nieces – Deborah California of Meadville, PA., Barbara Mintzer and husband, Thomas of Warren, PA., Sister-in-law – Mary Roos Schorman of N. Warren, PA., several great nieces and great nephews. In addition to his parents, he was preceded in death by 2 Brothers – Thomas R. and James Schorman. Friends may call at the Donald E. Lewis Funeral Home, Inc., 304 East Street, Warren, PA. on Sunday from 6 to 8 P.M. where a funeral service will be conducted on Monday at 11:00 A.M. with Rev. Ralph Culp. Interment will be in Warren County Memorial Park. Those wishing to place memorials may do so through Grace United Methodist Church or the Rouse Warren County Home Patient Activity Fund or Hospice of Warren County. My deepest sympathy in the passing of your loved one. Jack was a pleasure for me to know and work with. He brought such sweet words to everyone’s ears. The world is a lesser place without him. May he rest peacefully and have a swift journey.